Plastics News reported on October 18, 1993 that Johnson Controls was building a new 114,100-square-foot headquarters and research and development center on a 13.3 acre plot in Burscheid, Germany for its European Automotive Systems Group. The $16.6 million center was scheduled for completion by December 1995, where it would house 185 workers employed in administrative, engineering, design, styling, testing, prototyping and trim activities. “It’s absolutely essential to centralize administrative and engineering functions in Germany in order to better serve our customers throughout Europe,” said Charles “Chip” McClure, vice president and general manager for the company’s European ASG operations. In 1994, Johnson Controls held a 30 percent share of the European automotive seating market supplied through its 35 plants in Europe, including nine complete seat plants which produced 10,000 seat sets each day. 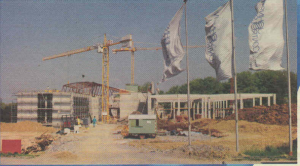 Construction at Burscheid began in September 1994, and the center opened in March 1996. 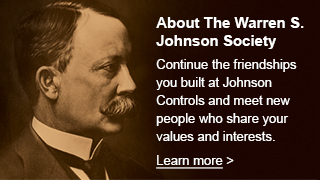 Today, the Burscheid facility still serves as the European headquarters of Johnson Controls’ Automotive Experience Business Unit, with more than 1,500 employees working there.